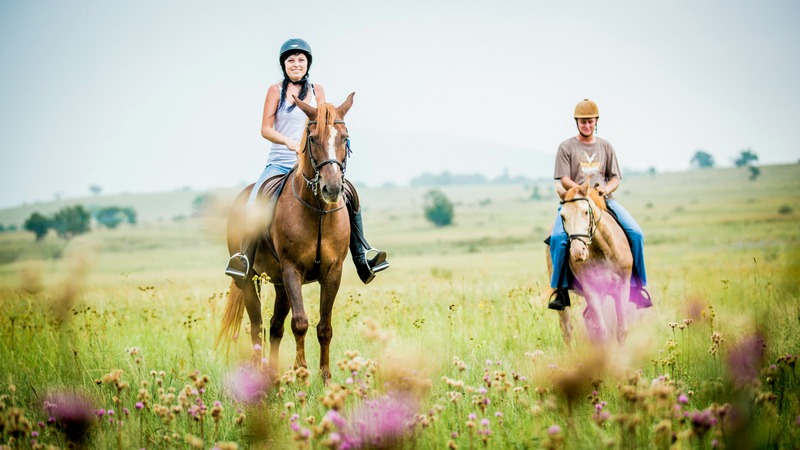 Situated on the picturesque Farm Deo Duce in Hartbeespoortdam. We offer Horse Riding Trails on safe, well trained horses, with your own personal guide, which makes this the perfect experience for First Time, or more experienced Riders. 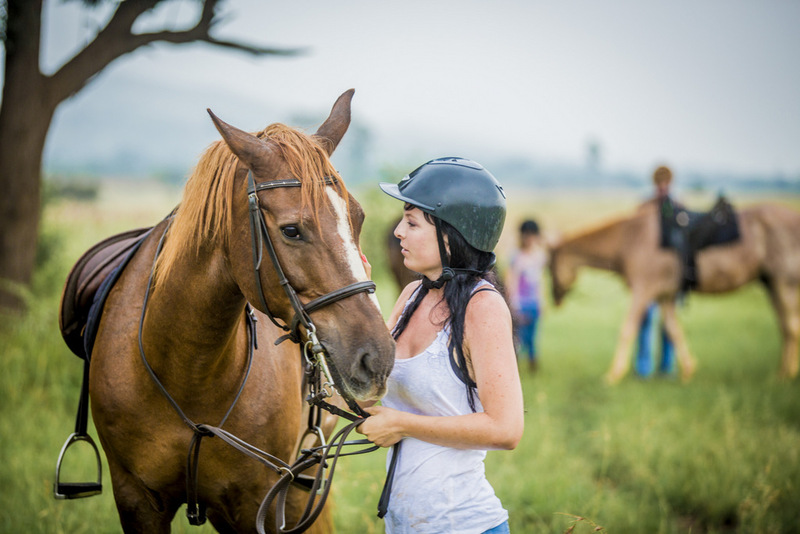 No Horse Riding Experience needed! 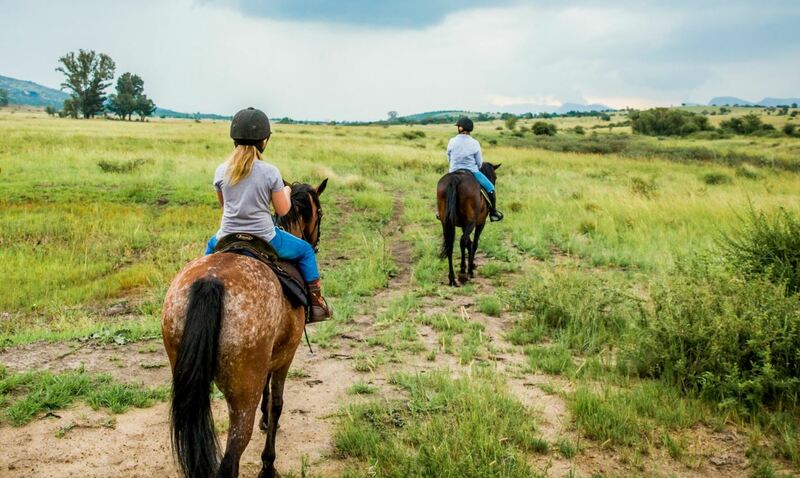 We trail on horseback through beautiful Farmlands and South African Veld and meander along the Swart Stream, all the while enjoying the local fauna and flora and amazing Birdlife on offer. Embarking from the Picturesque Farm Deo Duce, we trail through beautiful farmlands and South African Veld, meander along the Swart Stream, and then climb Lookout Ridge on Horseback. 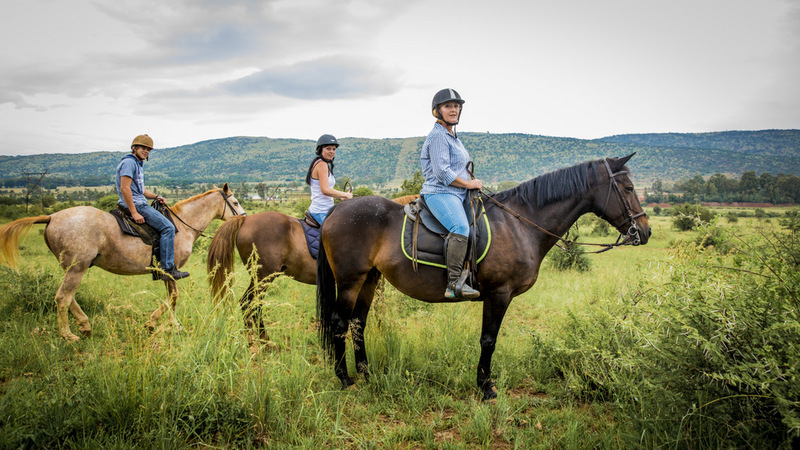 Enjoy a break and a snack pack at the top of the Ridge while experiencing the most Breathtaking views of Harties Dam, Farm Deo Duce and the Mighty Magaliesberg Range! A must for the avid Birdwatcher! 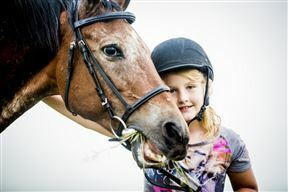 This is the perfect trail for the entire family and photographers, both amateur and professional alike! Looking for the Perfect Romantic Occasion to share with your Loved One? Horse and Trails Unlimited specialize in Romance and Love! 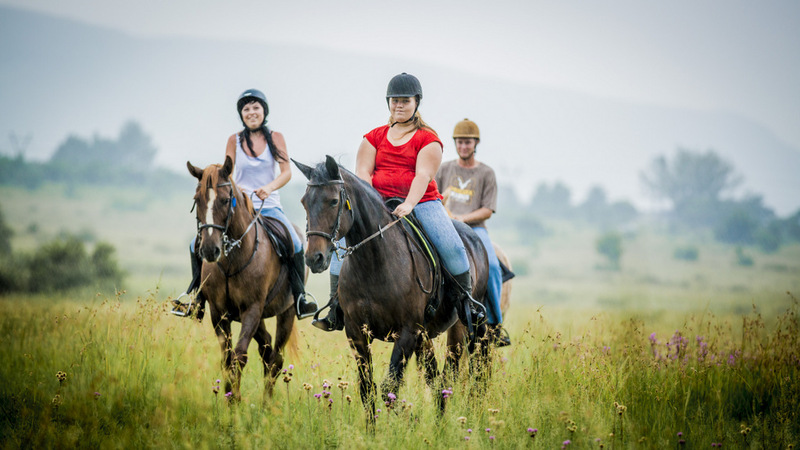 Embarking from the Picturesque Farm Deo Duce, we trail on Horseback up the Gorge of the Schurveberg Mountain. 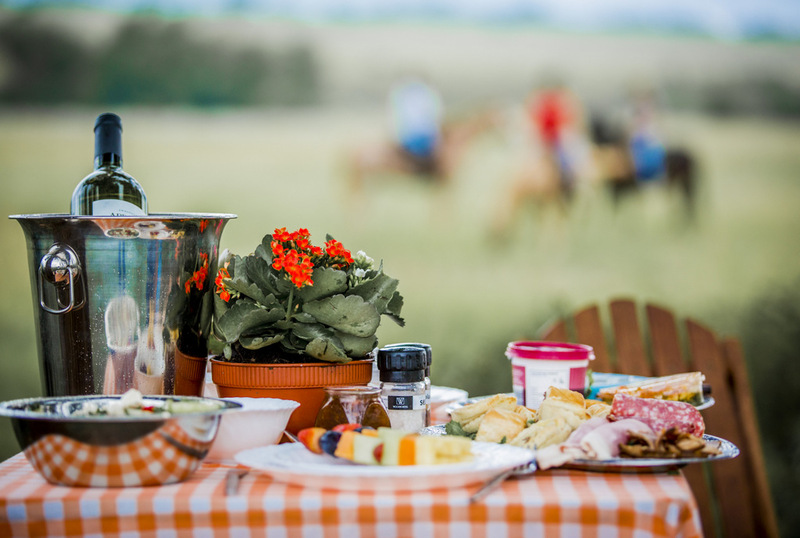 Here you will enjoy an Exclusive, Private and Stylish Romantic Picnic while experiencing the most breathtaking views, local Fauna and Flora and the Peace and Tranquility of Untouched Nature! This trail is also ideal for the entire family, and the cost is R1200.00 for a family of 4. A family photo shoot with the horses after the picnic can also be arranged! 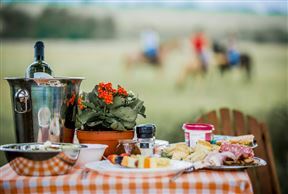 Picnic includes cold meats, a bread basket, a Devine salad, sausage rolls and local fruits. We cater for special requests. Looking for something Unique, Romantic and Different for that Special Proposal? 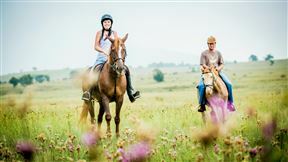 Horse and Trails Unlimited has the ideal Romantic Experience! 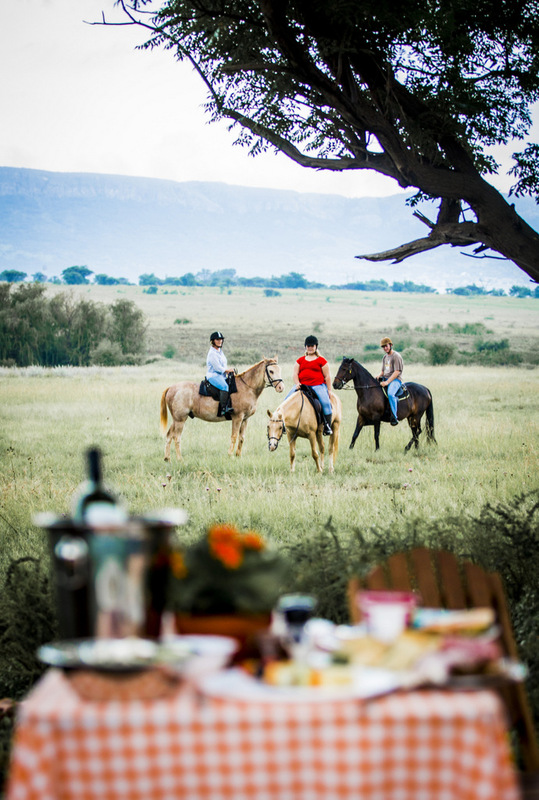 Embarking from the Picturesque Farm Deo Duce, we trail on Horseback up the Gorge of the Schurveberg Mountain where you'll enjoy an Exclusive, Private and Stylish Picnic while experiencing the most beautiful views and the Peace and Tranquility of Untouched Nature! White tablecloth, Champagne Flutes, Roses and some Bubbly - what better way to ask for your Beau's hand in marriage? 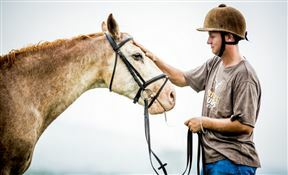 After the question has been asked and answered, a photo shoot is done with the horses to capture your Special Memories forever! Horse and Trails Unlimited is 8.4km from the centre of Hartbeespoort , the nearest airport 23.4km (Lanseria International Airport).